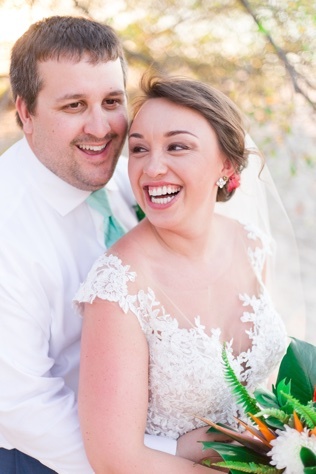 Shopping for a destination wedding location was quick and painless for Wisconsinites, Melanie and Brad. 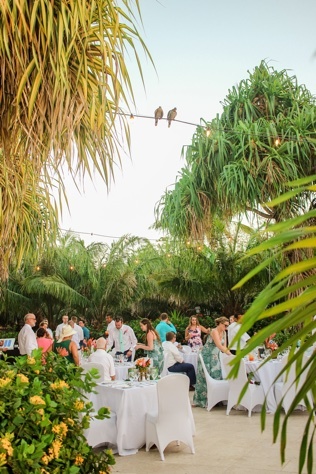 Guanacaste, Costa Rica had the warm weather, relaxed beach vibes, exquisite cuisine and the proper vacation feel they desired, all with quality vendor options and built-in wedding services at the resort. “Initially, we thought decor and dining choices would be limited. But in reality, we were surprised and delighted by the options and ease of planning and execution,” the couple say. After guests were told to get ready to pack for the beach, the planning process was in full swing, but the duo knew they couldn’t go it alone. The first step was to turn to the professionals. 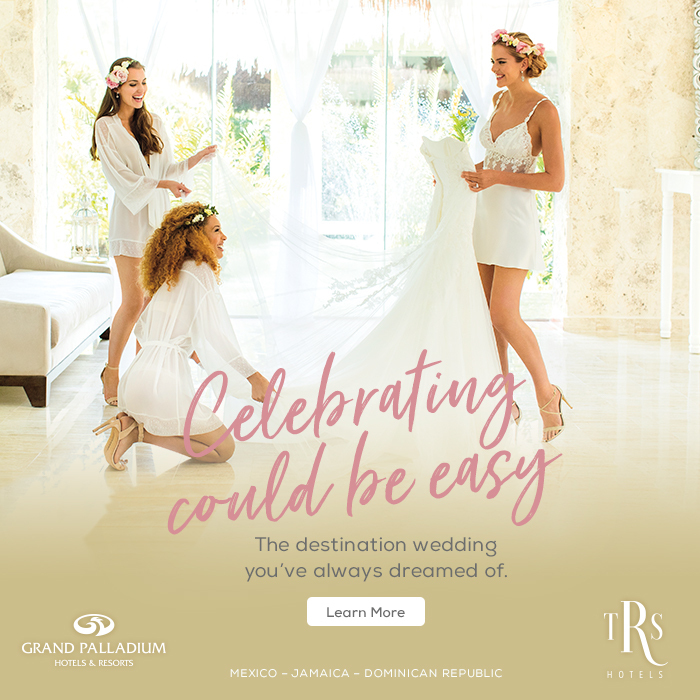 They had a Elm Grove Travel agent recommend resorts with positive reviews with destination weddings and to conveniently book guests’ accommodations, ie flight, hotel and transportation. The Westin Golf Resort and Spa, then, provided the couple with their right-hand girl and wedding coordinator, Heidy Quesada. “It was very convenient to work with her [wedding coordinator]. She provided options and accommodated any special requests as able,” Melanie says. 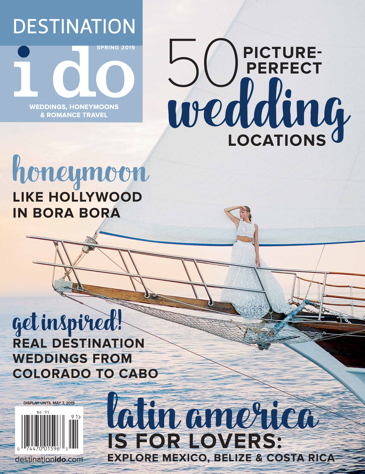 Melanie and Brad also did some research on their own for their wedding, reading “How to Plan Your Own Destination Wedding” by Sandy Malone. The book combines humor, reality and rich detail to help couples with just about anything pertaining to vacation weddings. Just like the book says, it’s not all roses and champagne, issues can (and did) arise for this couple. For example, a few guests had complications with transportation to the resort from the airport, but the travel agency immediately helped remedy the problem. Also, the mosquitos and hot, hot sun of Costa Rica came out to play, but that was resolved with bug spray and LOTS of sunscreen! 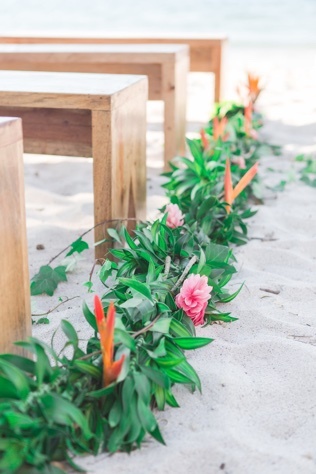 If there's anything you can do to ease your destination wedding planning stress, it's to rely on a travel agent to help your guests and a coordinator to communicate with vendors, that way you can focus on the fun parts of planning a fairytale ceremony and vacation!